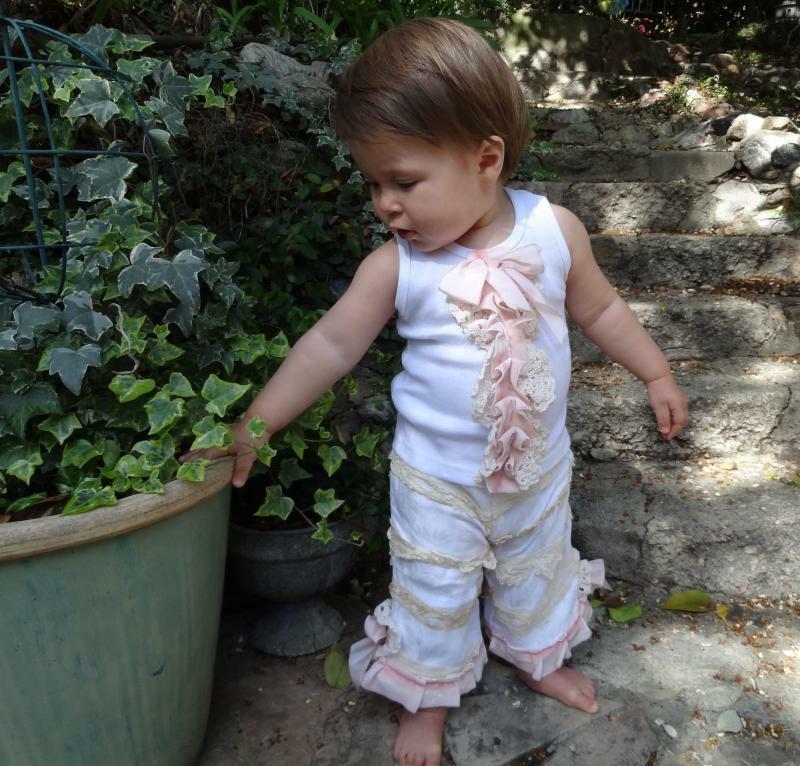 Hankie Babies is a unique and one-of-a-kind baby and girls' clothing line made from vintage and antique linens. Most fabrics are old kitchen linens, hankies and doilies, but anything may be used from old hotel hand towels to mens' ties to interesting potholders. No two pieces are exactly alike and are always a fun conversation piece. 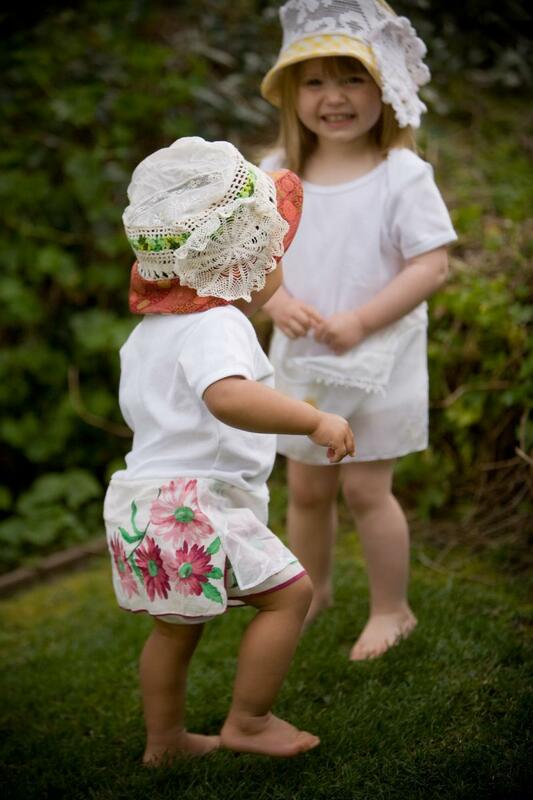 Hankie Babies began in 2005, after Daria Woolard, had amassed quite a few vintage linens. She thought that a hankie would look cute attached to a baby bodysuit. She gave the hankie dress to her friend, for her baby. When people wanted to buy the piece, she started making more. Over the years, Hankie Babies has grown steadily. Eventually, Daria opened her own shop where the clothing is carried along with many other great finds. The store features Hankie Babies pieces along with all sorts of other baby and children's clothing, gifts, toys and books. Everything in the store has a handmade, vintage and retro flair, creating a truly unique store. Sign up for the Hankie Babies email list. Copyright 2018, Hankie Babies. All rights reserved.